Executive Assistant: Iris! Secretary. Bodyguard. Assassin. The Executive Assistant is all of the above rolled into one. Shes meticulous, ruthlessly efficient and completely loyal to her employer. In the high-stakes web of corporate wealth and power, one young woman, Iris, must decide between her duty-and her conscience. 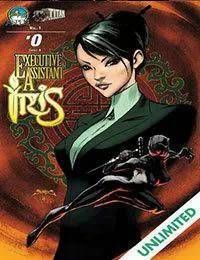 When Iris employer, Mr. Ching, decides to settle a dispute between himself and a deceitful Russian businessman - out of the pleasantries of the conference room - she is given the order to force a compromise. However, when the deadly realities of her obligations remind her of the tragic horrors of her past, Iris begins to question everything around her!